I’m a big fan of the “one-pot/pan” dishes. The meals typically come together quickly and clean up is a snap. With Paleo cooking, I have discovered I use so many utensils and what not to cook. This meal is a refreshing change from the multi-pot meals! Preheat oven to 375°. Using a 9″x13″ glass casserole dish, grease with olive oil or coconut oil. 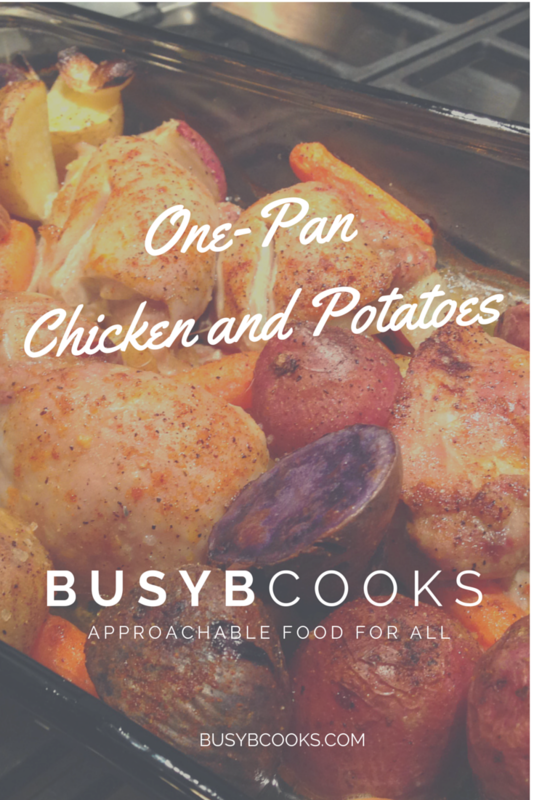 Add chicken, potatoes, carrots, onion & garlic to the casserole dish. Season with salt, pepper and paprika. Drizzle with olive oil then toss everything to coat. Bake for 1 hour 20 minutes, or until the chicken is done. Serve immediately and enjoy!